From the nation that brought us the Soviet Union, this summer the world will once again see Russia bring together a bunch of countries with a unified aim, only for them to one-by-one fall to the wayside, often in brutal and dramatic fashion. This time however, it won’t be communism these nations are fighting for (alas! ), it will be the World Cup trophy. For the first time in history football’s ultimate competition will descend upon the lukewarm summers of the Eastern European climate. Mother Russia, not entirely famous for her maternal instincts or welcoming nature, will look to play the host to 31 other nations. How a nation known for Vodka and ruthless football hooligans will mix with an expected one million football fans visiting will be found out in due course. But how the football will go can be interpreted beforehand. 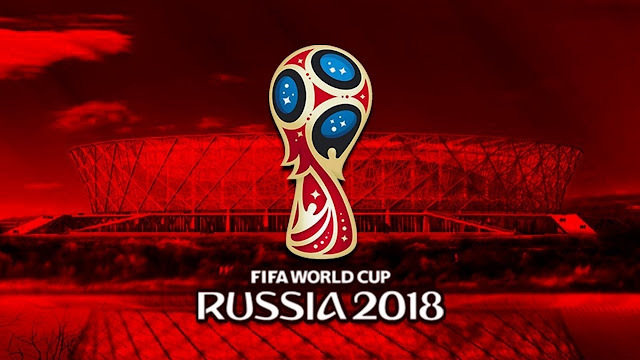 Out of 79 teams that have competed in the 22 World Cup tournaments, only eight countries have ever won the competition, and five of them have won it at least twice. Will it be the same old pretenders again? Or will we see a new nation come through and seal themselves into sporting history? Always a great place for up-and-comers to make a name, which nations are holding hidden diamonds that will be looking to make a name – and maybe a transfer – for themselves? What underdog nation will defy the odds to qualify? Which superpowers will fail to get out of the group-stages? Who will win the Golden Boot? If Russian history tells us anything, it is that nothing is certain. Whilst a revolution may not quite be in the offing this summer in Russia, a lot of great football will be. So here for you is a preview of 2018 World Cup Russia. Who they will rely on: Alan Dzagoev is arguably the most talented player in the Russian squad and capable of brilliance, whilst goalkeeper Igor Akinfeev – despite some spectacular mistakes – is Russia’s most accomplished player. Who could make a name for himself? Aleksandr Golovin is a 22-year-old that was a key part of the Russian team which won the Under 17 European Championship in 2013. An industrious yet creative central-midfielder, he has recently been linked with Manchester United. How far can they go? In their last two tournament competitions Russia have finished bottom and second from bottom in their respective groups. However, don’t be surprised to see home advantaged give them some performance enhancement. And don’t be surprised if that turns into a sporting scandal in years to come. 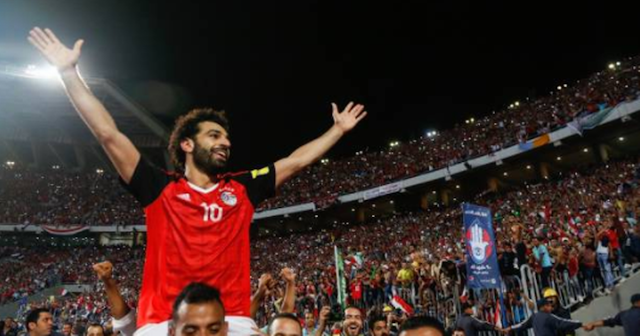 Who they will rely on: With Mohammed Salah scoring five of the eight goals scored during the group stage African World Cup qualifications for Egypt, the reliance on him for goals is clear. Thus, coming into the completion with an injury will mean Egypt may have to look for inspiration elsewhere. That inspiration could come from Trezeguet – as Mahmoud Hassan apparently calls himself. The nimble forward has a lethal right-foot and just scored 14 goals in 29 games for Kasimpasa in the Turkish Super Lig. Who could make a name for himself? Ahmed Hegazi won credit during a season where he played every single game for a West Bromwich Albion side that were relegated. As Egypt's lead defensive mainstay, a good showing in this tournament could lead to a transfer back into top flight football. How far can they go? They will battle Russia for second place qualification in the group but that would be as much as surely could be expected, especially given Salah’s condition. Golden Boot prospect: An unspoken trend of World Cup history is the fact many of the tournament’s best players have been ruthlessly hacked out of it, especially when coming in with injuries. Nevertheless, one would be a fool not to mention Salah, given the season he has just had. Who they will rely on: Pacey winger Fahad Al-Muwallad is the current breakout star of the team, having landed himself in the Levante reserve side, among nine players from the nation to be loaned to La Liga clubs in a historic move for Saudi Arabian football. Although none of them saw any game-time, Al-Muwallad is still the nation’s star after becoming a match winner in Saudi Arabia’s crucial 0-1 win against Japan during the Asian qualifiers. Who could make a name for himself? Coach Juan Pizzi won the Copa America as manager of Chile just two years ago. A good result or two could pave the way for Pizzi to get himself a higher profile job. How far can they go? The Saudi Arabians are fit, athletic and committed, but simply lack the top level experience to get results at this level. They will do well to get a point. Who they will rely on: Luis Suarez and Edison Cavani scored 71 goals between them in the season just gone and have 92 between them in international football. The two are not only fantastic individuals, they combine brilliantly for their national team too. Who could make a name for himself? Maxi Gomez scored 18 goals in La Liga last season in his first year at Celta Vigo. With only two caps and just 21 years old, the 6ft 1in, powerful striker is inexperienced but comes with youthful exuberance. He is great in the air and will be a real danger coming off the bench for Uruguay. How far can they go? With top defenders like Jose Gimenez and Diego Godin, as well as their quality up top, if Uruguay’s midfield step-up, they could be in the semi-finals. Golden Boot prospect: Both Suarez and Cavani are worthy of a mention for this honour. Who they will rely on: Sergio Ramos is coming into the tournament as a man that has captained his side to three European Cups in a row. David Silva just had arguably his best ever season for Manchester City. The two will be key in Spain’s campaign. Who could make a name for himself? Thiago Alcantara at 27 years old and Isco at 26 may finally be ready to step out of the shadows of all of Spain’s other top midfielders and show their own class on the biggest stage. Valencia forward Rodrigo has been handed Spain's number nine shirt and will be given a chance to lead their attack. How far can they go? Showings such as a 3-0 battering of Italy last year and a recent 6-1 win vs Argentina in a friendly tell us they could win this competition again. However, the sacking of their manager Julen Lopetegui just two days before the tournament will surely cause too much upheaval for them to go all the way this time. Golden Boot prospect: With the abundance of creative talents in this Spain team, Rodrigo or Diego Costa (whoever starts more) should be seen as dark-horses for the Golden Boot. Who could make a name for himself? Most eyes will be on the aforementioned 24 year old Jahanbakhsh, but 23-year-old Mehdi Torabi could be the one catching the eye of scouts after just winning Iran’s player of the season. How far can they go? Iran will hope to claim a draw or two and maybe even an upset win. However, qualification in this group is surely beyond them. 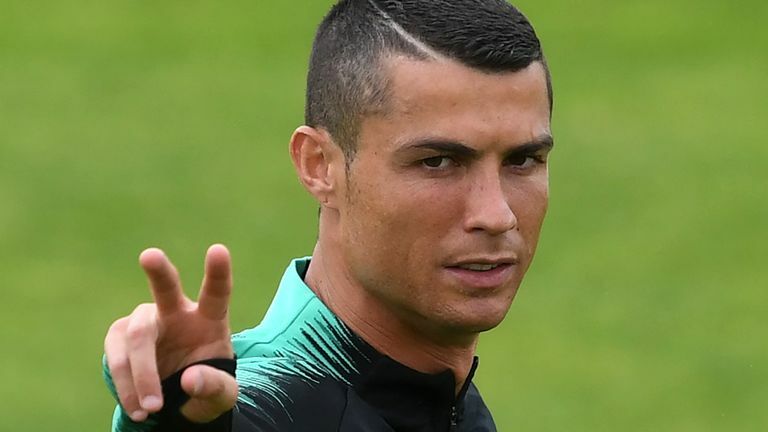 Who they will rely on: The world is still waiting for Cristiano Ronaldo to play to his best in a World Cup, and this is surely his last chance to do so. None will be more watched than him. However, he will be ably assisted by skillful wingers Bernardo Silva and Goncalo Guedes. Who could make a name for himself? Guedes, on loan at Valencia from Paris St Germain, is a 21 year old with a lot expected of him but Sporting Lisbon's Gelson Martins could be the surprise threat in this talented Portugal attack. How far can they go? Although they qualified comfortably, recent form in friendlies has been poor. Portugal are just as capable of implosion as they are of going all the way. The crucial factor will likely be what they can get out of veteran centre-backs Pepe, Jose Fonte and Bruno Alves. Golden Boot prospect: Despite only getting three goals in 13 World Cup games since 2006, Cristiano Ronaldo is more than capable of being this tournament’s top scorer. Who they will rely on: Ajax’s number 10 Hakim Ziyech is an outstanding playmaker, with vision and a habit of brilliance. Lining up alongside the similarly beguiling Younes Belhanda, Galatasaray’s number 10, the two make Morocco’s attack good viewing. Who could make a name for himself? Whilst a good Ziyech showing may have Europe’s big clubs calling for him, Achraf Hakimi is already at one and will be hoping to stay there. The talented defender has been groomed by Zinedine Zidane for Real Madrid’s first-team. A good World Cup could enhance his chances of adding to his 17 first team appearances last season. How far can they go? Captained by Juventus’ defender Medhi Benatia, this team have enough genuine ability to expect to beat Iran. With talent like Ziyech and Belhanda, they are a dark-horse for qualification from this group, although a major upset would be needed. Golden Boot prospect: None. For all the talented playmakers they have, this side have no top level goal scorers in the side. Who they will rely on: Paul Pogba has arguably saved his best performances for his national side in recent years. His passing is key to France's phenomenal attack, led by the quick and lethal Antoine Griezmann, who could also come out of this tournament as the world’s most wanted player. Who could make a name for himself? Raphael Varane has been a regular in the first-team at Real Madrid as they have won three European Cups in a row. Expected to start for France, a good showing may make people realise he is one of the best defenders in the world. Nabil Fekir is the secret weapon among France’s attacking talent. How far can they go? France can win the tournament and will be disappointed with anything other than a serious challenge to do so. Golden Boot prospect: Griezmann was top scorer in Euro 2016 with six goals and will be among the favourites to be so again. Who they will rely on: 26 year old Matthew Ryan kept goal for a Brighton team in England that had the best defence outside of the top 10 in last year’s Premier League and will key for this side as one of Australia’s best players. Who could make a name for himself? Jamie Maclaren was considered one of Australia’s best young talents. Now 24 years old and having just scored 8 goals in 15 games for Hibs in Scotland, the pacey poacher could put his name in lights when leading the Aussie attack. Daniel Arzani is a 19 year-old tricky winger with just one cap, taken on a for his wild-card factor by coach Bert Van Marwijk. How far can they go? Unfortunately for Australia they are far behind all the teams in their group in terms of quality. At best they will hope to claim a draw or two. Who they will rely on: Christian Eriksen is among the best playmakers on earth and has shown that level of ability with Denmark, scoring 11 goals during their qualifying campaign, including a hat-trick against Republic of Ireland in their play-off match. Likely to play behind Eriksen, Thomas Delaney is an industrious box-to-box midfielder with an eye for goal that has just been signed for Borussia Dortmund that will play a key role for Denmark too. Who could make a name for himself? 20 year-old Kasper Dolberg is Ajax’s lead striker and the big Dane has great ability to use his strength to bring others into play, as well as posing a goal threat himself. Brentford defender Henrik Dalsgaard is a big, powerful solid right-back that is likely to start. He may become a target for bigger clubs should he have a good showing during Denmark’s campaign. How far can they go? The minimum they should do is qualify from the group. Then they will likely to play Argentina but in a one-off game with a talent like Eriksen they are capable of causing an upset against anyone. Golden Boot prospect: Given his showing during qualifying, Eriksen – who will be taking all free-kicks and penalties for the Danes – deserves a mention. Who they will rely on: Christian Cueva is the playmaker that makes this energetic Peru team tick. He will be looking to feed the veteran forwards that Peru will most be relying on for goals in Jefferson Farfan and Paulo Guerrero. Who could make a name for himself? Andy Polo was once one of the world’s most wanted young talents. With acceleration that will leave most trailing, if the Portland Timbers winger comes in confident he could end up back on the radar of many scouts. How far can they go? Peru are a typical solid South American team that can use their passing style to see-out wins should they get a lead. If they get a good opening result against Denmark they could qualify, but that’s as far as they can go. Who they will rely on: Gylfi Sigurdsson is a quality number 10 that is as dangerous as anyone 30 yards from goal. After a tough season at Everton, he will enjoy being the star of his home nation side and prove his own worth. Johan Gudmundsson is a hard-working winger that will be key to the direct style of the Icelanders, looking to constantly run the line and whip in crosses. Who could make a name for himself? 6ft 2in Sverrir Ingi Ingason is a 24 year-old classic centre-back, great at the basics of defending. If he gets the chance to start ahead of Iceland’s senior defenders, he could get a second chance in one of the top leagues, having recently left Granada in La Liga (Spain) after a short stay. How far can they go? Recent friendly losses to the likes of Mexico, Norway and Peru have put their ability into perspective. Nevertheless, expect at least one great result for the Icelanders, although don’t expect them to qualify. Who they will rely on: As good as the team are, they often find themselves needing Messi to rescue them from trouble. However, for them to go all the way in this tournament, they will need Sergio Aguero, Paula Dybala and Gonzalo Higuain, who scored 79 goals between them last season, to play to their potential too. Who could make a name for himself? Cristian Pavon is the young attacking talent in the team but someone who could really prove his world level credentials is Nicolas Otamendi, who has just starred for Manchester City as they broke records in winning the English Premier League. Argentina will need him at his best to compete and a good tournament for the defender could certify him as a world class player. 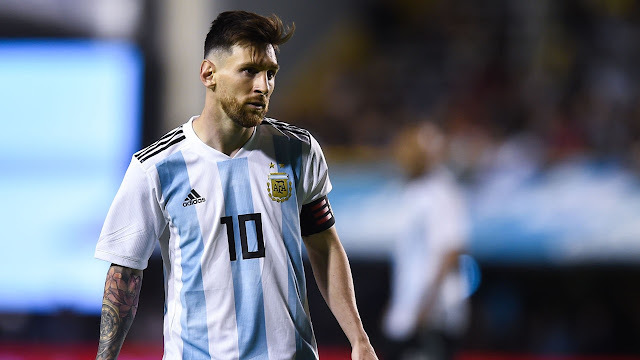 Golden Boot prospect: Any of Argentina’s aforementioned forwards could be on this list but if one were to standout it would have to be – of course – Lionel Messi. Who they will rely on: Real Madrid’s Luka Modric is arguably the best passing midfielder in the world today and will look to dominate games, aided by Barcelona’s Ivan Rakitic. Despite an un-prolific season, Mario Mandzukic will be the side’s main goal threat. Who could make a name for himself? With many of the world’s top clubs looking for goalkeepers, Dominik Livakovic could catch the eye if he gets the chance to start, having just had a great season in winning the league with Dinamo Zagreb. Golden Boot prospect: Although in Davor Suker Croatia have had a Golden Boot winner before, this side don’t have the attacking flair to have a realistic contender for this honour. Who they will rely on: Midfielder John Obi Mikel makes this side play with his composed and intelligent style, whilst forward Alex Iwobi and winger Victor Moses give them their cutting edge. Who could make a name for himself? Ogenyi Onazi is a tenacious ball-winning midfielder, the kind many top clubs could do with in this day-and-age where a high-pressing style is so accredited. Kenneth Omerou is a 22-year-old defensive talent is strong and composed, with a will to prove himself against the world's besthe will win a lot of fans when they see him take on some of the world’s best in this group. How far can they go? This team – whilst talented – have not yet found their style to get the best out of their players and thus will not do enough to qualify from this group. Who they will rely on: He has been around so long that many forget Xherdan Shaqiri is just 26 years old. The diminutive winger is a match winner and has often shined for his country. Granit Xhaka is just 25 and has been given the number 10 shirt. Both will be crucial to side’s chances of success. Who could make a name for himself? Breel Embolo was once one of Europe’s most wanted young players. Signed up by German club Schalke, he has had a difficult first season in the Bundesliga but will be given a chance to shine for his nation this summer. How far can they go? Switzerland will want to qualify. They finished to Portugal as runners-up only on goal difference in qualifying, proving their quality. In their last few friendlies they destroyed Panama 6-0 and drew vs Spain. However, Serbia are equally as good, so qualification in this may also come down to goal difference. Golden Boot prospect: Although we can surely expect at least one Xherdan Shaqiri worldie (remember his overhead volley in Euro 2016?) Switzerland don’t have a player that can score enough goals for this. Who they will rely on: Neymar’s international record is second to none and he has looked nothing less than electrifying in recent friendlies. 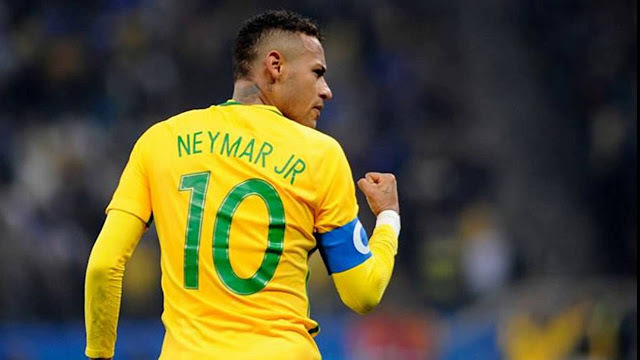 He remains Brazil’s superstar, but unlike in 2014 he will be ably supported this time by the likes of Roberto Firminho, Gabriel Jesus and Coutinho. It isn’t in attack they will be left wanting, leaving defensive stalwart Thiago Silva the responsibility of keeping the opposition at bay. Who could make a name for himself? After splitting his season between Barcelona and Liverpool and consequently missing out on playing in the latter stages of the Champions League, Coutinho’s excellent season (scoring 22 goals and getting 13 assists) has been overlooked. He could make a huge impact in this World Cup. How far can they go? Anything other than winning it will be a genuine disappointment to Brazil. Golden Boot prospect: Alongside Neymar, don’t be surprised to see either of Firmino or Gabriel Jesus in the top end of the scoring charts. Who they will rely on: Top level journeyman number 10 Bryan Ruiz remains their talisman. However, Joel Campbell is their biggest attacking threat, despite spending most of this season injured. Who could make a name for himself? Goalkeeper Keylor Navas of Real Madrid is set to be replaced by his club this summer so will be wanting to put himself in the shop window of Europe’s elite, and he has the ability to do so. How far can they go? Costa Rica surprised the world in 2014 but will not qualify from this group unless two of the others have an almighty implosion. Who they will rely on: Nemanja Matic is at the heart of a strong and experienced spine Serbia have long had. Southampton’s Dusan Tadic at number 10 bears the creative burden of the team and this responsibility for his nation has often brought out the best in the enigmatic attacking midfielder. Who could make a name for himself? Subject to rumour of near £100million bids, Lazio’s Sergei Milinkovic-Savic is a masterful midfielder, capable of running a game. Playing in that same central midfield, Luka Milivojevic is combative and has goals in him, as shown last season, when he got 10 goals in helping Crystal Palace to remain in the Premier League. How far can they go? If they play to their ability, the Serbians should qualify and could end up reaching the quarter-finals. However, they will need to beat one of the big nations to do it. The Mexicans have been at every World Cup since 1994, and have even qualified from their group every time too. Can they finally go one-step further? Who they will rely on: Rafael Marquez - yes, that Rafael Marquez – is still key to the Mexican side in his role as a sitting midfielder. Giovanni Dos Santos and Javier Hernandez may not be young stars as top clubs any more, but they both still make up the key to the nation’s attacking force. Who could make a name for himself? Explosive winger, Hirving Lozano just had a superb debut season for PSV Eindhoven. A good World Cup could make it has last season for the Dutch club. How far can they go? Given their record, despite the tough games in their group they are likely to qualify. Sadly for them though, this won’t be the World Cup where they finally reach the quarter-finals. Who they will rely on: The spine of the side should be the same as the 2014 team, giving them a strong base to play from. Toni Kroos and Mesut Ozil hold the key to making this side one that can boss games and score goals. Who could make a name for himself? Timo Werner has been handed the number nine shirt and expectations will be high for the 22 year-old. Behind him, Leon Goretzka is being hailed as Germany’s new Michael Ballack. How far can they go? Don’t expect this German team to fall before the semi-finals at least and that’s only if they come across a side capable of beating them, which isn’t a given. Golden Boot prospect: Thomas Muller has proven his ability to score at this level with 10 goals already from 2010 and 2014. He must be considered a contender for this, as should Werner be too. Who they will rely on: The defensive minded Swedes have Andreas Granqvist heading up an experienced defence which has Manchester United’s big money signing Victor Lindelof as the star. Who could make a name for himself? Out of the shadow of Ibrahimovic, Marcus Berg will be full of confidence, having just scored 34 goals in 31 games in the UAE league. The team’s real star though, could be number 10 Emil Forsberg, a positive and creative presence from midfield. How far can they go? Sweden will find it difficult to match sides with more pace and flair in their group. They will be going home early. Who they will rely on: Tottenham's Son Heuung-Min can shoot with either feet and has searing pace, making him a forward that can shine on any stage. Koo Ja-Cheol will be the one expected to win their midfield battles with his technique and tenacity. Who could make a name for himself? Lee Seung-Woo was dubbed ‘The Korean Messi’ when he was signed by the club aged just 12. Although things didn’t quite work out at the Nou Camp, the skilful number 10 is still highly rated and showed glimpses of his ability at Verona in Serie A. How far can they go? South Korea will unlikely best any of the other sides in the group but will be good to watch as they give it a go. The Africans possess a team that lacks top level experience but makes up for it in athleticism and spirit, something which may not enough to see them through. Who they will rely on: The team will be missing their star-player Youssef Mskani through injury, leaving it up to Wahbi Khazri to play the team’s key attacking role. Veteran goalie Aymen Mathlouthi will need to be at his best for the team to have any chance. Who could make a name for himself? Hamdi Nagguez is a 25-year-old defender that just had a great season for Zamalek in Egypt. In facing some of the world’s best players, his reputation could become greatly enhanced. How far can they go? Tunisia will hope to beat Panama and hold England and Belgium, but ultimately won’t have the quality to do so. Who they will rely on: If Harry Kane fails to find scoring form in the World Cup, it is unlikely they will progress. Kyle Walker finds himself as England’s best defender, likely to play in a back three. He will be crucial to them containing the better players in this competition. Who could make a name for himself? The side have 12 players 25 and under. Out of all of them, Marcus Rashford and Raheem Sterling hold the most expectation but Harry Maguire is a defender with ability and the kind of temperament that could make him a key asset for this side. How far can they go? England should reach the quarter-finals. Depending on how they get there, they could gain enough momentum to compete in the semi-finals. Golden Boot prospect: Harry Kane is as good a contender as anyone for the Golden Boot. Who they will rely on: 29-year-old Gabriel Torres will lead the side’s attack and if goals do not come from him, they may not come from anyone. Who could make a name for himself? Midfielder Edgar Barcenas just had a starring role as Mexican side Ascenso became second division champions. He will be looking to take that form into the World Cup and catch the eye of watching scouts. How far can they go? The World Cup isn’t a place where debutants do well. This won’t change with Panama, who will go out in the first round. Who they will rely on: Romelu Lukaku and Eden Hazard will be expected by the entire football world to score and help lead Belgium out of this group, but even more key will be Manchester City duo Vincent Kompany and Kevin De Bruyne looking to take their club form with them to the World Cup. Who could make a name for himself? Despite 56 goals in his last two seasons (more than Lukaku) at Napoli in Italy, Dries Mertens isn’t rated as he could be. A good World Cup could change all that for the 31-one-year-old. Midfielders Youri Tielemans is Belgian’s wonder-kid that made his Champions League debut at 16 and the playmaker could change games coming off the bench. How far can they go? With the players they have, Belgium can’t be ruled out as possible winners. Yet, they will do well to do better than they did in 2014 when they reached the quarter-finals. Golden Boot prospect: Lukaku is the kind of player that guarantees goals. The further Belgium get, the more likely he is to be among the competition’s top scorers. Who they will rely on: James Rodriguez has true world class ability and can dominate games just as he did in 2014. Apex goal-scoring predator Radamel Falcao missed out on that tournament but is back and in form (scoring 24 goals last season). He will be relied on to make the difference in tight games. Who could make a name for himself? Yerry Mina is a 6ft 5in monster of a centre-back that signed for Barcelona from Brazilian side Palmerias in January. He has all the qualities needed to succeed at the top level and could show it at this World Cup. Juan Quintero is a much fabled creative talent that is yet to live up to his early promise on the biggest stage but will get the opportunity in Russia. How far can they go? Colombia could match their feats of 2014 and have the potential to perhaps reach the semi-finals, should Rodriguez and Falcao remain fit. Golden Boot prospect: Having won it in 2014, Rodriguez deserves a mention but is unlikely to become the first ever person to retain it. If anyone is to do that for Colombia, it will be Radamel Falcao. Who they will rely on: The partnership between number 10 Shinji Kagawa and number nine Shinji Okazaki is key to Japan having a good campaign. Just as important in a quieter role is defensive midfielder and captain Makoto Hasebe. Who could make a name for himself? Keisuke Honda is now 32-years-old and deemed someone who has never fulfilled his potential on the bigger stages of world football. After a fantastic debut season for Pachuca in Mexico, the playmaker with the wand of a left-foot will want to make a real impact in Russia. How far can they go? In such an open group, Japan will want to qualify. However, this side is likely not fresh enough as Japanese sides of yesteryear to muster the necessary effort. Who they will rely on: After Robert Lewandowski has scored 245 goals in his last seven years of club football, the star striker will relish his opportunity to finally perform on the world’s biggest football stage. Who could make a name for himself? Piotr Zielinski is a mainstay of the Napoli starting XI due to his efficient passing style and excellent decision making. Already on the radar of many of Europe’s top clubs, the Pole will find himself a wanted man if he can help his nation to qualify from the group. How far can they go? Poland had a fantastic qualifying campaign and will take that confidence into this tournament. If Lewandowski can find form, they could qualify with ease and be a real threat in the knock-out stages. Golden Boot prospect: Lewandowski is arguably the best number nine in the world. If Poland can qualify, he is certain to be near the top end of the scoring charts. Who they will rely on: Sadio Mane scored 20 goals as part of Europe’s fiercest attack for Liverpool last season. At the other end of the pitch, Napoli’s Kalidou Koulibaly is rated as one of the world’s best up-and-coming centre-backs. Both are just 26-years-old. Who could make a name for himself? Keita Balde is a 23-year-old forward that has already built a good reputation in Europe, having proven himself at Lazio and is coming off a good debut season with France’s Monaco. How far can they go? Senegal have a balanced starting XI with quality in all areas of the pitch but will still find it difficult to qualify from the group. Much relies on central midfield pairing Idrissa Gueye and Cheikhou Kouyate being able to neutralise the attacking midfielders of their opponents. World Cups nearly always have at least one team that make it to the semi-finals beyond all expectation, so predicting the final four is difficult. However, the semis are near certain to include France, Brazil and Germany. The difference between all these sides will be the midfield of Paul Pogba, N'Golo Kante and Blaise Matuidi, containing a great combination of tenacity, technique and athleticism, which is why France will be World Cup champions of 2018 in Russia. Player of the tournament: Neymar is in the kind of free-flowing form, fresh from recovering from his pre-tournament injury, that will see him near a certainty for this award. 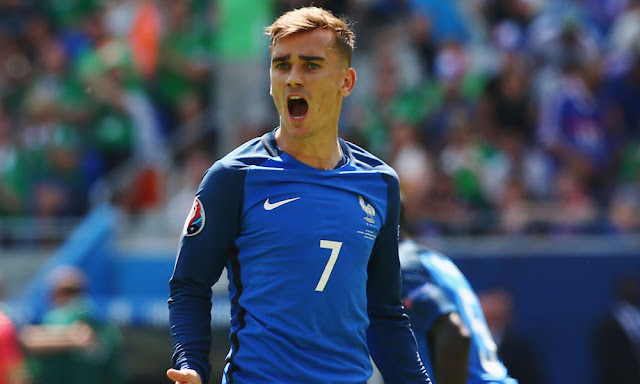 Antoine Griezmann will also be in the running having won this award for Euro 2016 and having a key role in the excellent French team. Golden Boot: Uruguay’s Edison Cavani will be looking to take this after filling his boots in the group stages but will face competition from Neymar and a Harry Kane that is likely to play at least three games against inferior competition.